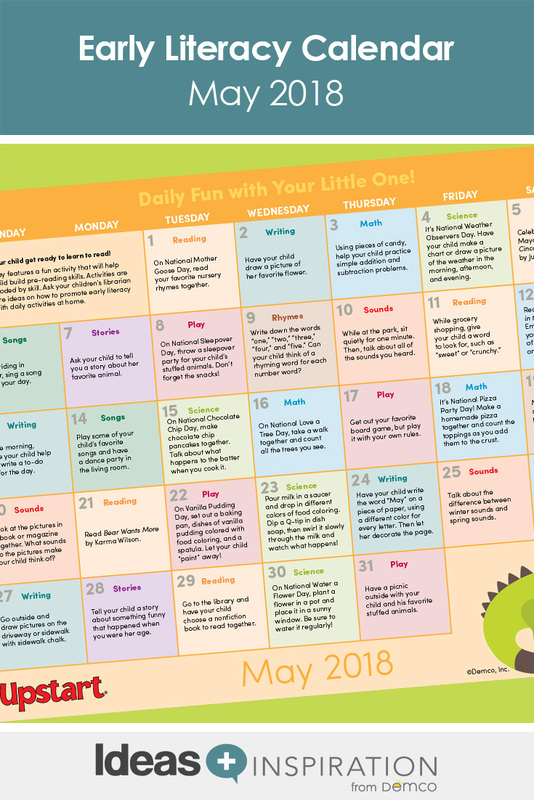 Give parents fun and easy ways to build early literacy skills with a month full of activities they can do with little ones at home. 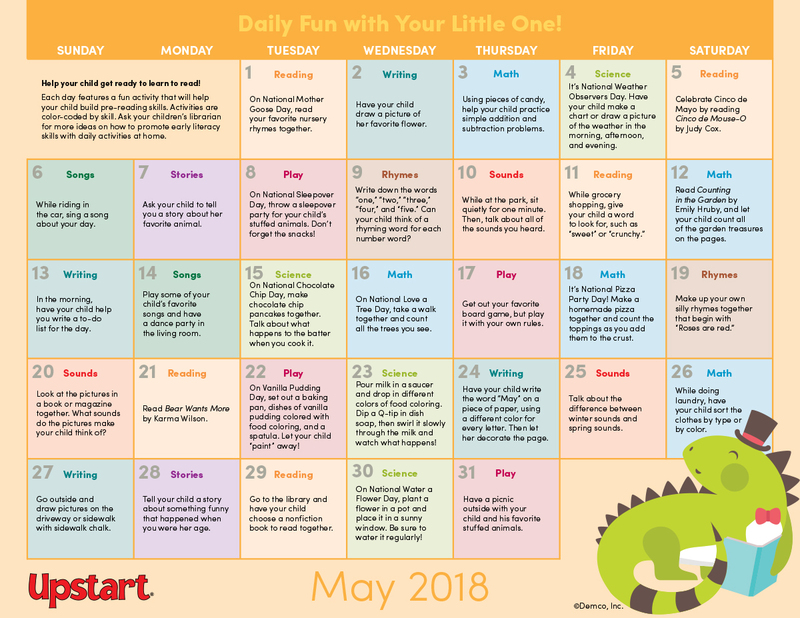 The May calendar is filled with crafts, math and science activities, book suggestions, and songs to celebrate Cinco de Mayo, National Sleepover Day, National Water a Flower Day and more! Activity calendars are free to download and reproduce. Hand them out to parents at storytimes or 1,000 Books Before Kindergarten programs, or leave them in your children’s area for parents to take home.